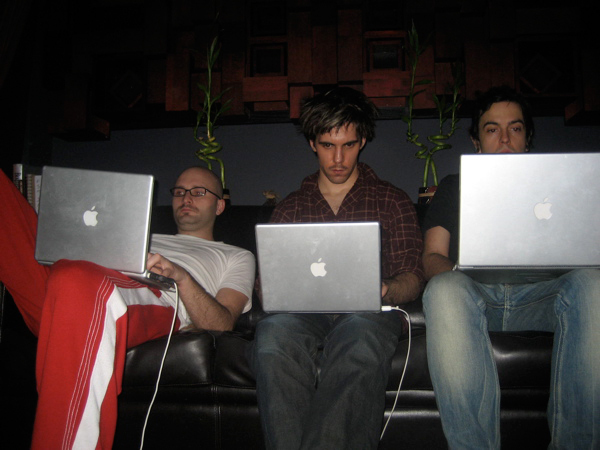 There used to be a joke that a band consisted of three musicians and a drummer, but now it's more like three musicians hunched over laptops. Three of the guys in Social Code working on their 'World of Warcraft' skills. Wait, you didn't think they were actually working on music did you?